I ordered chicks the other day. These are not chicks we need right now, nor will they be particularly useful on the farm. 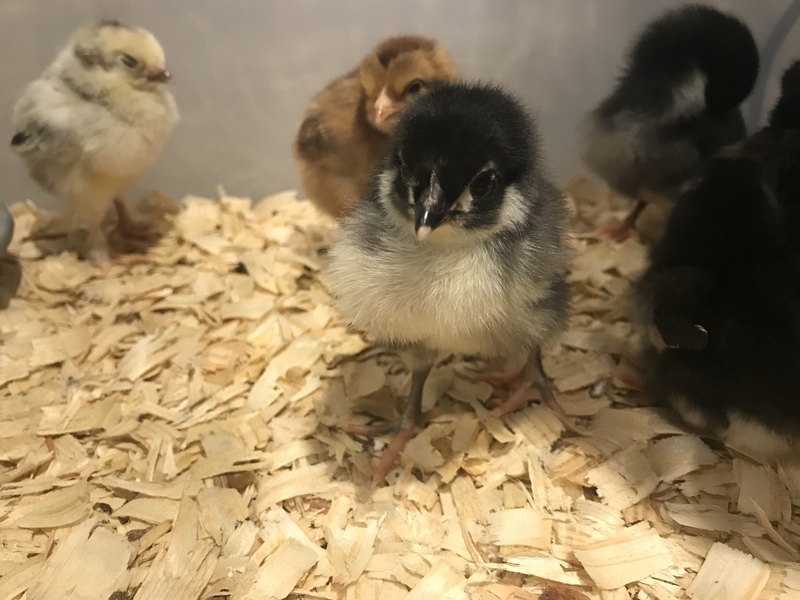 No, I ordered chicks impulsively because they were on a flash sale for $1 each (pullets!) and free shipping. 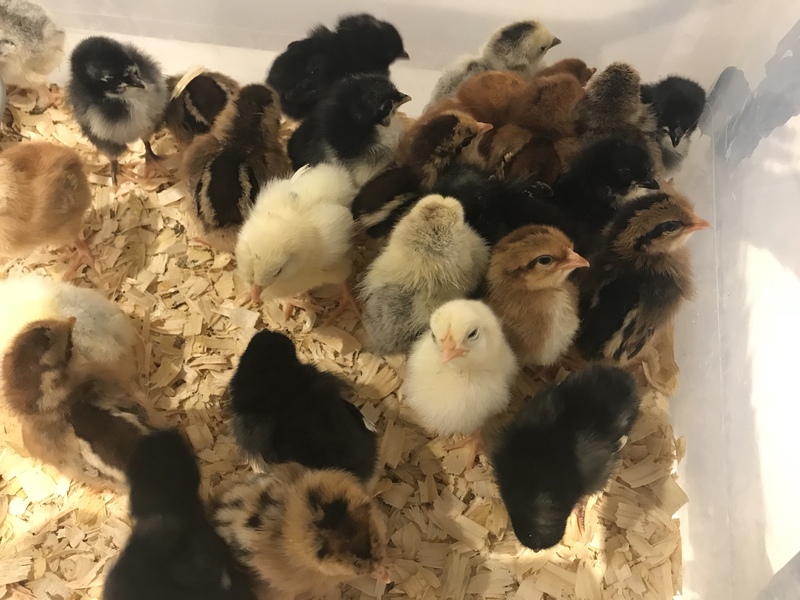 Only caveat, hatchery choice, we got 35 mystery chicks on Friday. The mystery is the best part. I never would have chosen feather-footed breeds like theses (Brahma and/ or Cochin), but they’ve already provided hours of entertainment. So far, I’m only certain that we’ve a couple barred rocks and few reds (RIR or hatchery reds). There’s maybe some brown leghorns, a few black jersey giants, and a couple domoniques, but only time will tell. 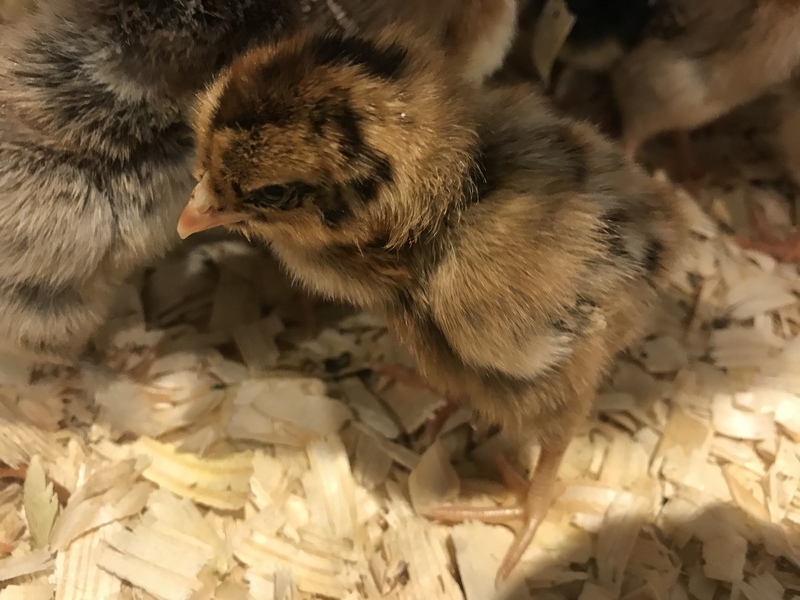 Because they were so inexpensive, we could potentially sell them for a small profit when they are older, especially the feather-footed ladies and the more rare/fancy breeds in the bunch. The more productive breeds will go into the main flock. For now, they are interactive fun living in a plastic tote in the laundry room.